Working with organizations both large and small in industries as varied as entertainment and publishing to education and retail, Lisa Dell is a public relations jack-of-all-trades. She brings creative ideas, a passion for storytelling, and strategic intuition to every project. 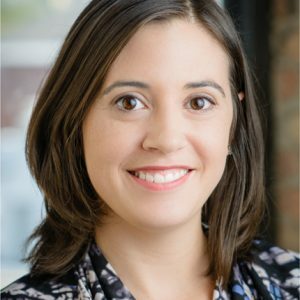 Currently, Lisa leads the strategy and PR for a variety of clients at The Silverman Group, including Lyric Opera of Chicago, City Winery Chicago & Riverwalk, Delmark Records, Fulcrum Point New Music Project, and Instituto Cervantes of Chicago. Her past clients include the inaugural Logan Center Bluesfest, Chicago International Movies and Music Festival (CIMMFest), Chicago Symphony Orchestra’s Symphony Center Presents series, and the first Ear Taxi Festival of New Music. Prior to joining The Silverman Group, Lisa led the marketing and media relations efforts for Cinema/Chicago and the Chicago International Film Festival, re-launched the PR and marketing department at Olive Films, and served as Product and Sales Manager for SaaS product Publicity Reporting Online and a digital marketing tool called 43KIX. Her wide range of experiences includes managing 12 celebrity-filled Red Carpet events over two weeks and developing the strategy for national mobile marketing-social media audience recruitment campaigns for the launch of several multi-season NBC/Universal TV series. In addition, Lisa has generated trade agreements, secured media sponsorships, made advertising buys, created content calendars, managed social media communities, and negotiated screening/performance fees. Growing up in the “Entertainment Capital of the World,” Lisa attended the Las Vegas Academy of the Arts, where she studied dance. She received a BA in public relations with a marketing minor from the University of Nevada, Las Vegas, and served as Advertising Manager and columnist for its award-winning student newspaper The Rebel Yell.